I have always been a teh (tarik) fan. There’s simply nothing like it anywhere else. Ever since I started work, my daily indulgence was a cup of teh or kopi from the kopitiam along the way to my office. I loved how ‘full bodied’ my drink was – plus it was hot, creamy and most importantly, sweet. 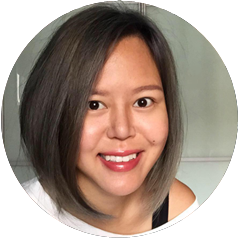 But eventually, when I switched jobs, I also switched to making my own cup of ‘teh-o’ (black tea with sugar) in the office pantry, as there were no longer any convenient stalls nearby selling my favorite drink. Still, I load up on my sugar. 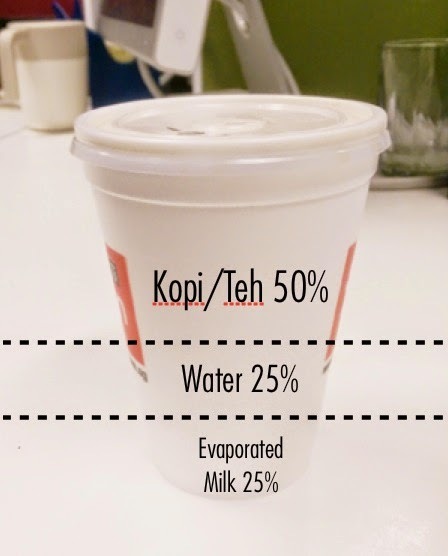 But do you know how much sugar a cup of kopi or teh contains? 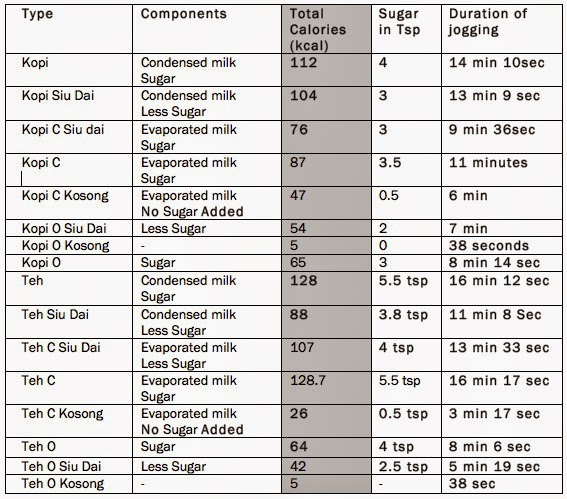 Here’s what I found out from HPB, based on 200 ml on average (portions might differ due to prep method). I have to jog 16 minutes every day if I want a cup of teh. What?!? No thanks! At least if it is 6 minutes, I can just try running to the bus stop (to catch the bus). 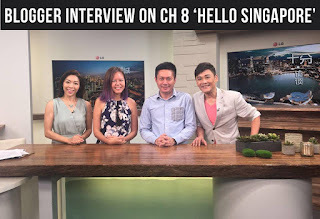 I’ve never ordered the “C” version (evaporated milk), much less the “C” and “Siu Dai” version (evaporated milk with less sugar) because I thought they will taste bitter, thin and sour, but I spoke to several people who liked them and one colleague’s struck me. Apparently Kopi/Teh C Siu Dai has a ‘different type of sweetness’ and it is ‘more fragrant’. I was surprised to hear that, but come to think of it, it kind of makes sense, because the milk/sugar would not overwhelm the tea/coffee taste and they can come out more! 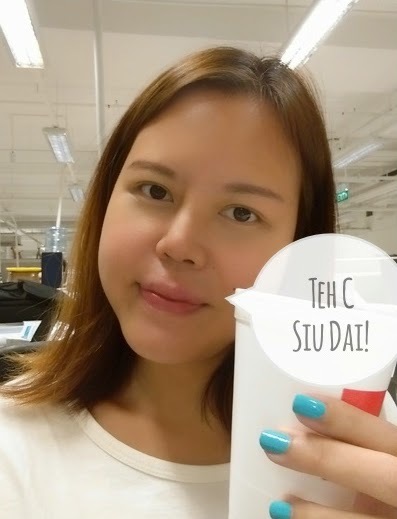 Because of that statement, I went ahead and bought a cup of Teh AND Kopi C Siu Dai from a friendly coffeeshop stall near my office to try it out for myself! My colleague was right. The C + Siu Dai versions were indeed more fragrant and delicate-tasting than the regular ones. I can’t believe I’ve never tried these before (in all my life…). 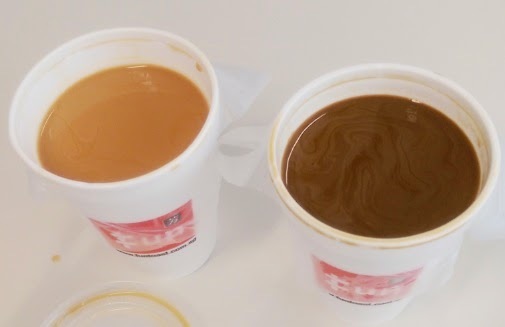 I think in a lot of places, the wrong recipe is what ruins a good cup of kopi/teh C Siu Dai, and not because they used evaporated milk and less sugar. 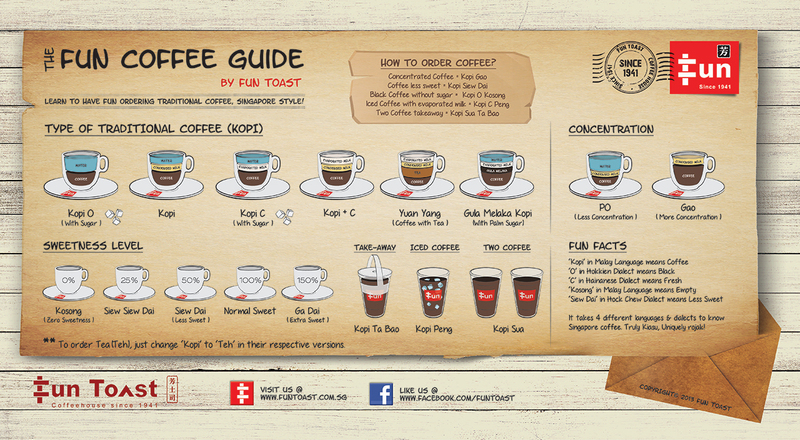 Here’s what a good proportion of a Kopi/Teh C should look like – I got this off the “Fun Toast Coffee Guide”. 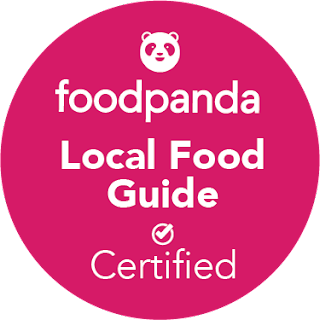 Of which, you should order the Siu Dai (50% sugar level) or Siu Siu Dai (sounds like someone’s name, and this is the 25% sugar level). I know for sure now what my kopi/teh order will be next time I am in line! 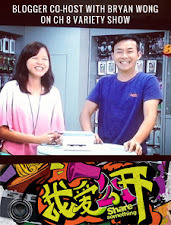 I hope you will give them a try next time when you are having a kopi/teh at your local coffeeshop too! This post is brought to you by HPB's Life is Sweeter with Less Sugar Promotion, where you can get a scratch and win card for every less sugar or no sugar drink you order from participating coffeeshops, cafes, food courts and hawker stalls and kiosks.